"My sweetie was hankering for something sweet the other day. Truth be told, he had his hankering for at least a week. Because I love him and we all know the way to a man's heart is through is belly, I decided to make him something. I had some bananas that needed to be used so that was my inspiration for research. 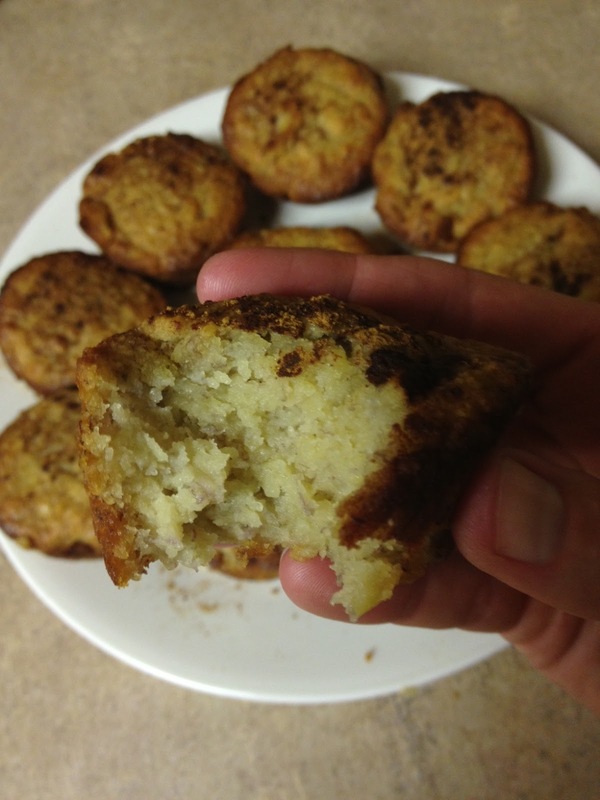 Banana muffins seemed easy enough so I went to Googlin' to see what I could come up with. After perusing through a half dozen recipes, I decided I'd just wing it. I know what muffin batter is supposed to look like for crying out loud! Soooo I'll quit my jibber-jabber and get to the goods. (FYI, muffins and quick breads are the easiest to sub gluten-free and grain-free flours. Grab your favorite recipe, 1/2 the sugar and use honey or another natural alternative and sub the flour 1 for 1 with something you've been thinking about using.)" Mash the nanners and mix in the rest. If your coconut oil is in the fridge, put the jar in a warm-hot water bath until you can get it liquidy enough to measure. 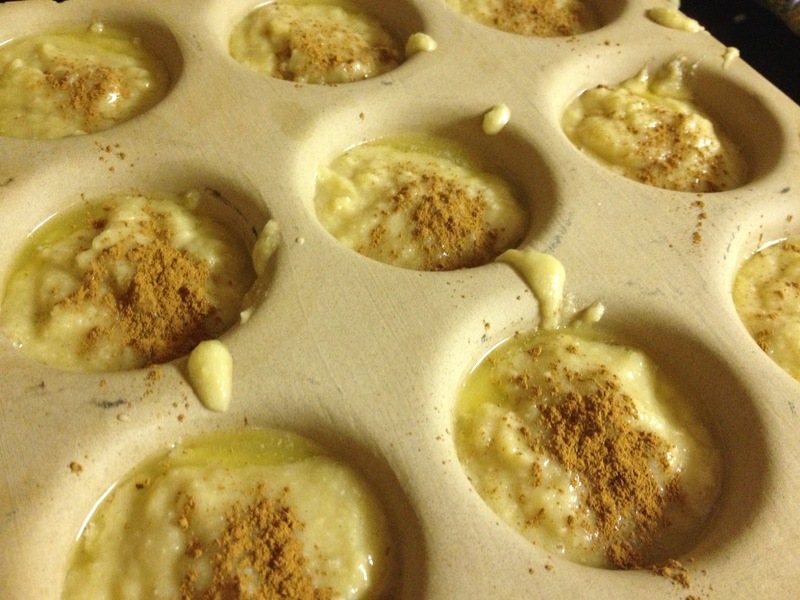 I prepared my muffin tin by putting a teeny bit of butter in each one and heating it up in the oven. As you can see, mine is made of stone but I'd think you could prepare any this way. I bet I used about 1.5 tablespoons in preparing 12 muffins. Pour into prepared pan. Here you can sprinkle with cinnamon, put a pecan on top or stick it down in the middle for a fun surprise! Bake 25-30 minutes and try not to eat the whole batch! Kimmi Moake is a local business owner and health food expert. Thank for sharing this, Kimmi!